Girls will learn to excel in technology with Girls go Tech. Photo courtesy: WWU. Registration is now open for popular workshops that introduce middle school students to non-traditional education and career paths. The March 9 “Guys and Guts” and April 13 “Girls Go Tech” programs allow 11-14-year-olds to learn about the worlds of healthcare and technology respectively through thought-provoking activities. The daylong workshops include information sessions for parents wanting to learn more about access to college as well as WCC’s programs. Students participate in an activity during the 2016 Guys and Guts workshop at Whatcom Community College. Photo courtesy: WWC. “Guys and Guts” will take place 9:00 a.m. – 3:00 p.m. Saturday, March 9 at Whatcom’s state-of-the-art Health Professions Education Center. The workshop highlights healthcare fields and offers hands-on activities such as drawing “blood” from an artificial arm, experiencing paraffin wax physical therapy, examining a real human skeleton, and more. 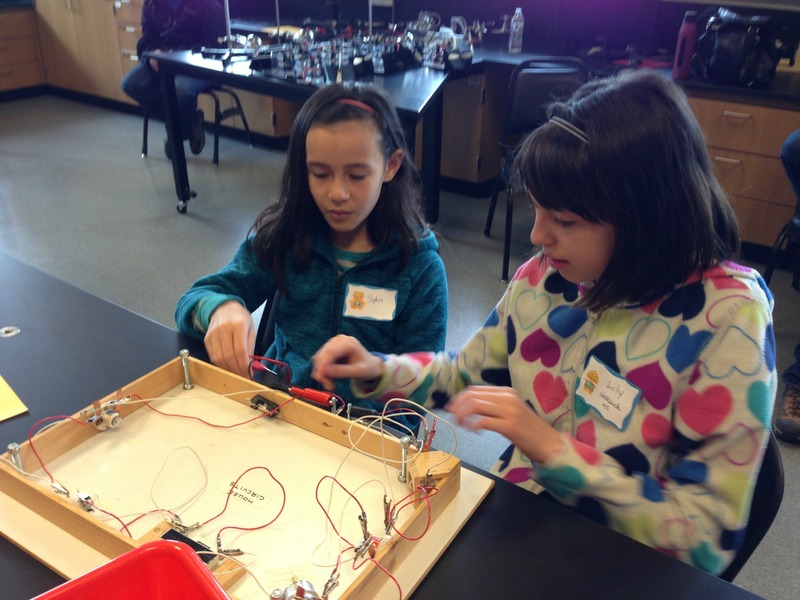 “Girls Go Tech” will be held 9:00 a.m. – 3:00 p.m. Saturday, April 13 and will offer an interactive approach to learning more about technology-related programs at WCC. In hands-on labs, students will experiment with information security vulnerabilities and safeguards, apply knowledge learned about circuits to wire a scaled down model of a room, and design and make an object using a laser cutter. The $10 registration fee includes lunch for one middle school student and their parent or guardian and a commemorative t-shirt for the student. Scholarship opportunities are available. Space is limited so register early. Learn more and register online at whatcom.edu/guysandguts and whatcom.edu/girlsgotech.